Due to several life changes in recent months, I have been remiss in writing here. Now that things have settled a bit at home, I’m happy to be back to writing again! I recently received an email from a colleague out of state, in a quandary over a client who was looking at euthanizing their one-year-old Border collie due to incidents of nipping. They currently have four children, and the dog is nervous, and has nipped people on several occasions. From my understanding, based on the email thread that was sent to me, the dog has not caused any serious damage, and all bites where on a Level 2 of Ian Dunbar’s Dog Bite Scale. This means that the dog has caused minor scratches or cuts not requiring medical attention. 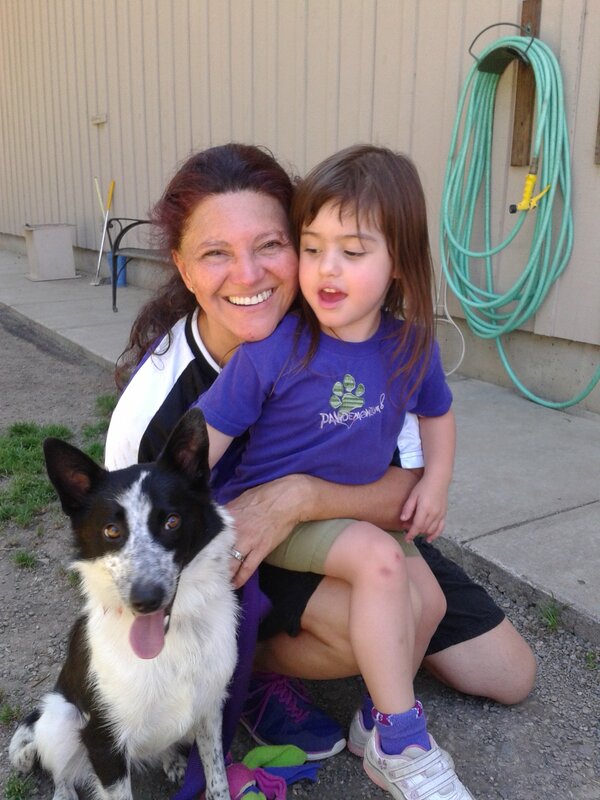 Concurrently, as many of you know, I recently adopted a ten-month-old Border collie pup, whom I’ve been training along with my three-year-old daughter. The pup we adopted, Tesla, was at the Marin Humane Society, and had a note on her chart that stated she was recommended for households with children of at least 10+ years of age. As I mention above, we have a three-year-old, and yet we convinced them to allow us to adopt her due to my training experience. Tesla jumped up on Shelby, and Shelby – to my proud surprise, turned away from her each time! Within a week, she has stopped jumping up on her completely, with just one exception when Shelby was upset about something (unrelated to Tesla) and Tes saw her crying. Tesla also exhibited herding behaviors, which included nipping at Shelby’s clothing and legs whenever she ran. I re-emphasized the rule: “No running when you are with the pup”, and between that rule, very close supervision, and several well-executed time outs, Tesla is no longer nipping at Shelby!! In fact, Shelby is now able to run around the yard with Tesla without incident – needless to say, they remain closely supervised! I keep thinking back to that dog that my colleague emailed about. I don’t have sufficient details about her to make a sound recommendation as to her disposition, but my instinct is that perhaps this was just the wrong placement, and perhaps, with a more experienced high drive dog owner, the dog could potentially thrive. Recently, Kelly Gorman Dunbar wrote a fabulous article for Bay Woof magazine about how to choose your ideal dog. If you already have a high-energy dog and are experiencing challenges, contact a qualified trainer for assistance. But if you haven’t yet chosen your next pooch, please carefully consider your choice! If you do not have the hours each day that it takes to mentally and physically wear out a high energy Border collie or Australian shepherd, consider a quieter breed instead. Many calmer dogs can still make nice sports dogs while not requiring that your life revolve around them! This entry was posted in Behavior, General Kids and Dogs, Training by C. Bookmark the permalink.